To limit the presence of agricultural contaminants in drinking water. A U.S. Geological Survey conducted in the 1990s detected pesticide compounds in virtually every stream in agricultural, urban and mixed- use areas, as well as in 30-60% of the groundwater. These chemicals may enter the water supply from agricultural and storm water runoff, and their exposure has been linked to kidney, thyroid, gastrointestinal and reproductive effects. Atrazine, one of the most widely used pesticides, is a suspected endocrine disruptor and is associated with cardiovascular difficulties. Long-term exposure to glyphosate, a widely used herbicide, may lead to kidney problems and reproductive difficulties. If detected, these contaminants can be removed with carbon filters. Atrazine less than 0.001 mg/L. Simazine less than 0.002 mg/L. Glyphosate less than 0.70 mg/L. 2,4-Dichlorophenoxyacetic acid less than 0.07 mg/L. Nitrate less than 50 mg/L (11 mg/L as nitrogen). California Water Boards. Maximum Contaminant Levels and Regulatory Dates for Drinking Water US EPA vs California. http://www.waterboards.ca.gov/drinking_water/certlic/drinkingwater/docum.... Sacramento: California Environmental Protection Agency; 2014. The California Environmental Protection Agency regulates Atrazine in drinking water to a Maximum Contaminant Level of 0.001 mg/L. World Health Organization. Guidelines for Drinking-water Quality Fourth Edition. Geneva: World Health Organization; 2011: 26, 371, 383, 416, 433. 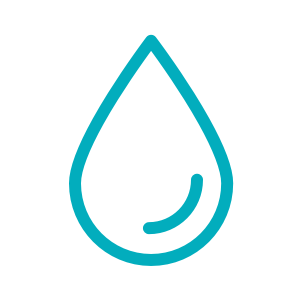 The WHO Guidelines for Drinking Water Quality set a guideline value for Simazine concentrations at 0.002 mg/L. The WHO Guidelines for Drinking Water Quality set a guideline value for nitrate concentrations at 50 mg/L. The EPA's Drinking Water Standards and Health Advisories set a Maximum Contaminant Level for 2,4-Dichlorophenoxyacetic Acid concentrations at 0.07 mg/L. The EPA's Drinking Water Standards and Health Advisories set a Maximum Contaminant Level for Glyphosate concentrations at 0.7 mg/L.